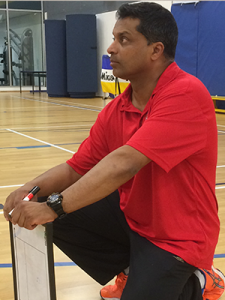 Shailen Ramdoo is an FIVB instructor and course director who has traveled the world to train volleyball coaches and athletes. Over a 35-year career he has coached at several European professional clubs, and has served as an assistant coach for the USA national mens team. Currently resident in Finland, the multi-lingual Ramdoo began his volleyball in France and played at university in England, before returning to become a member of the French national team in the 1980s and then move into coaching. He names the Brazilian coaches Rezendes, Guimares and Rizola as his inspiration, but his “guru” has been Japan’s Toshi Yoshida. If you have ever listened to the FIVB language broadcasts of international competitions, you’ve probably heard the English commentary provided by Lucas in a mellow Hampshire dialect. But he is more than a broadcaster and producer, and his sports coverage has extended far beyond volleyball. Lucas has been a member of the England national men’s program off and on ever since he was a player on the national team, and more recently as a coach while two of his sons won caps on their respective squads. As a VbDC coach, he became an instant hit with athletes for his ability to inject a touch of humour into his demanding drill instructions. Volleyball Development Camps’ leading coach, Luke Thomas, has one of the most unique coaching techniques of all our coaching staff – one that puts considerable focus on the athlete’s mental approach to training. In the years this former England team member has led our flagship event, his voice has been raised on fewer occasions than can be counted on one’s fingers. Asked why he is so quiet, Luke explains that his court time is spent observing the athletes, the assistant coaches who deliver his curriculum (Luke is an FIVB qualified coaching tutor), offering one-on-one advise and, when lecturing, intentionally speaking in a soft voice so athletes must pay close attention to every word. In fact, the words of this well-read coach, currently working on a graduate degree in mathematics at Cambridge, are carefully chosen. Athletes are encouraged to provide constructive input to his comments, and are always asked whether they have any question on instructions; to ask for clarification, Luke tells them, is not a sign of ignorance, but of having the intelligence to ensure they know what is expected of them and a demonstration of their desire to perform to the best of their ability. Luke’s coaching method has had a profound influence on the VbDC philosophy in its approach to coaching developmental volleyball. From time to time a young coach comes to our attention because of his or her ability to work with a particular level of athlete. That’s what VbDC saw in McDonald, when she was asked to work with early teens. It’s a difficult age to coach: they’re not yet adults but want to be treated as one, their skills are still in development and require boatloads of coaching patience, and they need constant encouragement. McDonald does all this, and more. Currently in university where she is studying film production, she plans to continue her coaching career after graduation, and will also continue playing national league volleyball. 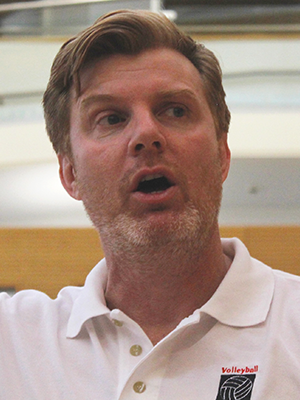 DeHaan has shown a natural faculty for getting the most from an athlete – in this instance those who are just beginning to become involved in competitive volleyball as pre- and early-teens. Brazilian by birth, American by marriage (after a move to the US to play collegiate soccer) DeHaan attributes her ability to a theatrical inclination. Going onto the court with the youngest athletes is just like going on stage: you adopt a persona that they enjoy and can relate to, and you stay in character until the end of the session. It may be somewhat instinctive, but it is an approach that has made DeHaan a favourite with young VbDC campers, and much admired by VbDC coaches. Few people have had the range of involvement in volleyball as Giorgio Scatigna-Gianfagna. He started his volleyball career in his native Italy, and moved around clubs eventually playing professionally for Volley Chiavari in the nation’s Serie B. His career in the financial industry brought him to England, where he found a place on the Coventry Riga roster, then joined Mallory and Docklands in London, and finally Guildford and Richmond when he moved to Surrey to start a family. Since retiring from competitive play Giorgio has moved into officiating, where he is in the Volleyball England accelerated program, and into coaching, where he has been assigned his first major role as a coach for an NVL Division 2 team. An imposing figure in height and physique, he has become an instant hit with VbDC athletes for his ability to cajole them to their best performance through a cheeky sense of humour and enthusiastic encouragement. Deb has been a volleyball player all her life, although in her high school years in Lamoni, Iowa and Blue Springs, Missouri, basketball competed for her sports attention, too. When she was offered a place on the Graceland University volleyball team, that became her main sport. After two years there she transferred to the University of Missouri, and played on the pre-Title IX varsity squad – when the team travelled to away games by bus and made their own uniforms. She graduated with a degree in education, and started her career as a coach in the rural Grain Valley, Missouri schools, taking the high school team to the state playoffs in her second year there. She was soon recruited by an international school in England, and in 1980 she and husband Bob left Missouri to start a new life abroad. 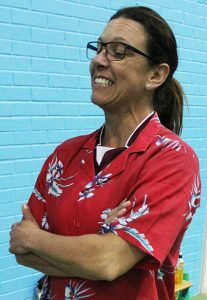 Deb spent her first two decades building up the school’s varsity program, as well as raising two sons who played volleyball at a high level – one of whom managed to pay for most of his university degree with a sports scholarship and has, himself become a leading club and school volleyball coach in St Louis, Missouri. In recent years she has set up a “seamless” volleyball program at her school that enables youngsters to enter the sport at age 8, and work their way through to the varsity level by progressing through a series of linked interscholastic and club activities. The school’s club permits students, faculty, members, parents and alumni to all play in local leagues and tournaments. Deb’s main responsibilities at VbDC involve sales and logistics, coaching, and managing the VbDC finances. She is also leading the effort to introduce a sports scholarship search service which is currently being piloted, and will be offered to the public in 2014. 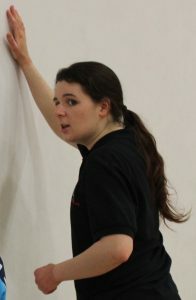 Bob had only had a passing awareness of volleyball as he grew up in Mississippi, but while attending the University of Missouri a chance meeting in a car park introduced him to a player on the Mizzou varsity women’s team who agreed to a date, showed him the game and eventually became his wife. After graduation Bob and Deb played in local leagues in the Kansas City area, and in 1980 he took a leave of absence from his job as a newspaper reporter and followed his new wife to Britain when she was offered a job as a volleyball coach at an international school. Soon after he was asked to edit a newspaper, and he and Deb have lived in England ever since. During that time he has helped form a club in Farnham, Surrey, where they live, raised two sons in a volleyball-minded household who went on to play for the England juniors and England national league teams, and became involved in local leagues. 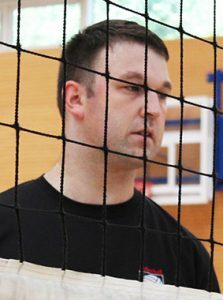 One of his first activities was to join the Farnborough Volleyball Club, a small group of players in a work-based club at the Defense Establishment Research Association, and as the club’s chairman created a plan to take the club into the community, tripling its membership and establishing it as the major volleyball club in north Hampshire. He also became qualified to referee national league matches and obtained his coaching certificate. Bob works with the South East Volleyball Association’s regional youth development programme by coaching beginning boys’ teams, and has chaired the Surrey Volleyball Association for two years, concentrating on efforts to revitalise the SVA’s infrastructure, bring new area clubs into its competitive schedule, and introduce a plan for junior development in the county. Bob’s main duties at VbDC involve working on external communications and marketing, and providing logistical support for the growing number of camps, and helping as an assistant coach. Like many people in the UK for John the exposure to volleyball in school was limited to only a few PE lessons. Badminton and squash were the main sports that he played, but in 1986 the desire to take part in a team sport saw him sign up for an adult education course in volleyball. Fortunately within weeks of the course finishing a new club was just starting up in Guildford and he quickly signed up as a member. The club grew quickly and John volunteered as a committee member serving in several roles eventually becoming club chair person. Starting in 2000 Guildford hosted several events for Volleyball England such as European Championship matches and Cup Finals which John was instrumental in successfully managing. 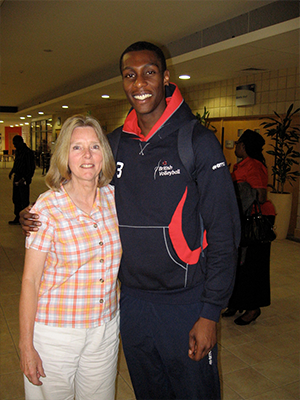 Continuing his work with Volleyball England he served as Marketing Director on their board for 2 years. 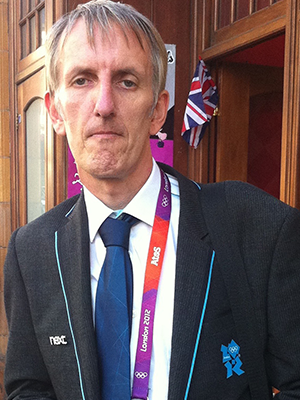 John is active in local volleyball with roles on the committee of both the Surrey and South East region associations. 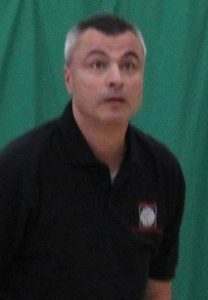 He has played for Guildford in the National League, is a qualified referee and coach, having coached Guildford womens team in the National League. He was active at the London 2012 Olympics as part of the team providing statistics for the indoor tournament at Earls Court, the highlight being to “stat” the Womens final between Brazil and USA. 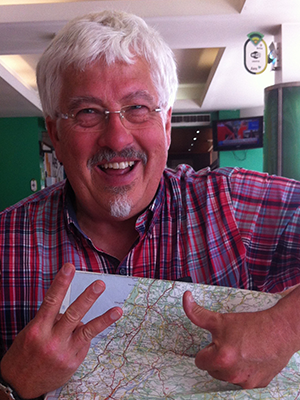 John’s main duties with VbDC are as a coach, with a special interest in technology having had a series of articles published in 3-Touch magazine and also helping with the logistics of running the camps and managing the VbDC website.